Download and complete the TMA employment application. Submit your résumé and cover letter addressing the qualifications sited as they relate to your credentials. The Master's Academy is committed to the education, growth and development of each student. There are many opportunities for parents to be get involved in their children’s day to day life here are The Master’s Academy. Our leadership team, through their character set an example for faculty and students. Welcome to The Master’s Academy, a ministry of New Testament Baptist Church. Our students are taught in an environment that inspires both faith and learning — it’s what every child deserves and every parent expects. 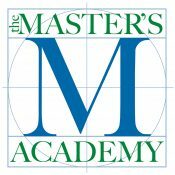 @2018 themastersacademy . All Rights Reserved.